As hundreds of nations gather in Poland for the UN's COP24 climate summit this week, residents in this corner of Europe are wondering when their governments will do anything to address an annual plague that is killing thousands. The pollution levels reached alarming heights in early December. 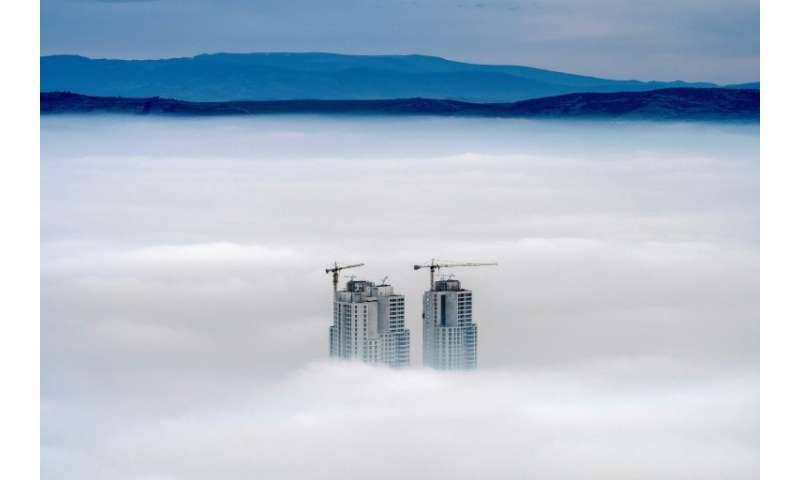 On Tuesday, the Macedonian capital Skopje was ranked the third most polluted city in the world, while Sarajevo was fifth, according to the monitor AirVisual. Pristina, the capital of Kosovo which relies on two coal-fired plants for more than 95 percent of its electricity, was not far behind. "In three decades of teaching, I have never seen so many children cough and get sick," said Vesna Delevska, a 56-year-old teacher in Skopje. "On the worst days, many parents don't even send their children to school," she told AFP, describing the conditions as "unbearable". Lignite-fired power plants across the region, many of which are old and pollute heavily, plus the burning of coal to warm individual homes, pump the air with toxins. 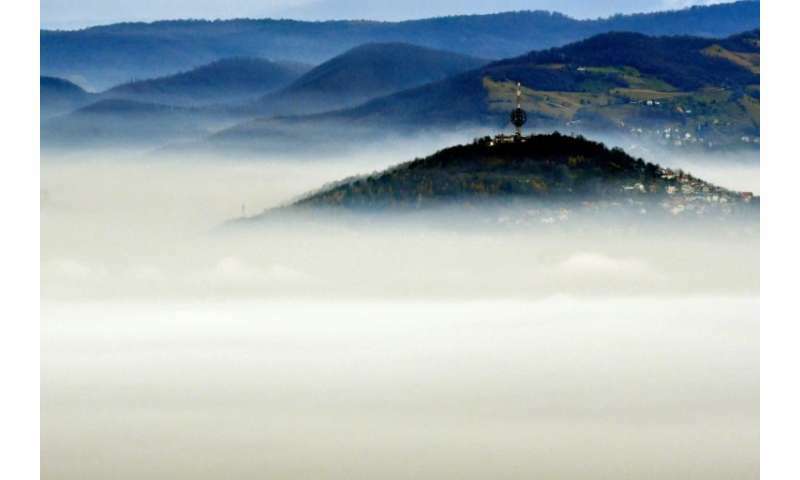 In Skopje and Sarajevo, a ring of mountains helps trap the hazardous air in valleys where residents live, shrouding them in a grey fog. An October UN report said fossil fuel emissions must be slashed by half in the next 12 years to limit global temperature rises. But Balkan governments are bucking the European trend by boosting their investment coal, with plans to build new power plants across the region. The effects are plain to see. Five Balkan cities with coal or lignite-based industries are among Europe's top ten most polluted cities, according to a 2017 World Health Organization (WHO) report. They include Tuzla (Bosnia), Pljevlja (Montenegro), Skopje, Tetovo and Bitola (Macedonia). The only ones benefiting from the pollution are those selling air purifiers, which one vendor in Macedonia's capital said are flying off the shelves "like hot cakes". 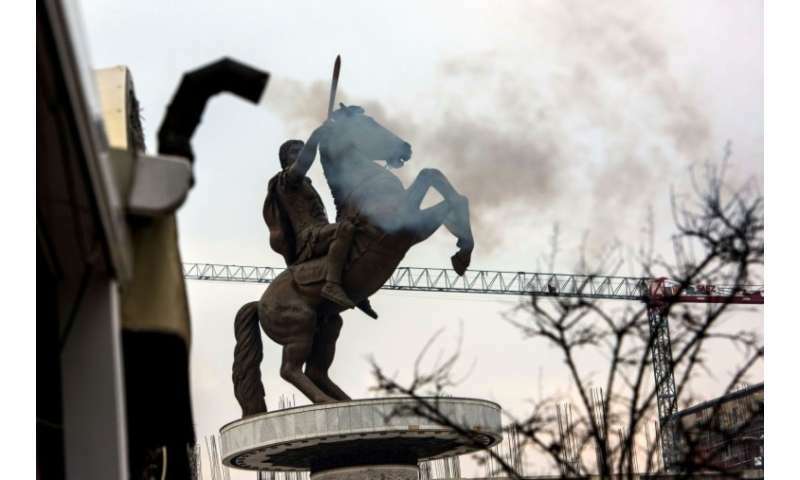 "People are emptying their wallets to breathe clean air," said Vanco, who runs a store in Skopje and declined to give his last name. An air purifier costs about 400 euros ($450)—close to the average monthly salary in Macedonia and several of its Balkan neighbours. But residents are digging into their savings, "even borrowing to buy the purifiers", said Vanco. "Especially families with children," he added. The economic and human costs are high in a poor region with little extra cash to spare. According to a WHO study, pollution cost the Western Balkans countries more than $55 billion in 2010. It also caused more than 36,000 premature deaths that year across the region, which is home to 23 million people—a proportion six times higher than in a country like France. Since then, there have been no major efforts to curb pollution. This winter the Macedonian Ministry of Health has announced the distribution of masks to 43,000 chronically ill people. But Jane Dimeski, an activist with the citizen group "STOP air pollution", sees it as a "short-term response...more than a serious fight against pollution". In Bosnia, the hazardous air shaves "44,000 years of life" off the country's population every year, according to a 2018 UN report. It costs the poor nation nearly a fifth of its GDP through lost work and school days, plus health expenses and fuel costs, the UN said. Fuad Prnjavorac, a 69-year-old Sarajevo resident who suffers from asthma, tries to escape the city for cleaner air on Mount Trebivic, which overlooks the capital. From that view, the city was completely obscured by the dense grey smog this week. "It's terrible in town at this time of year, impossible to breathe," he told AFP. 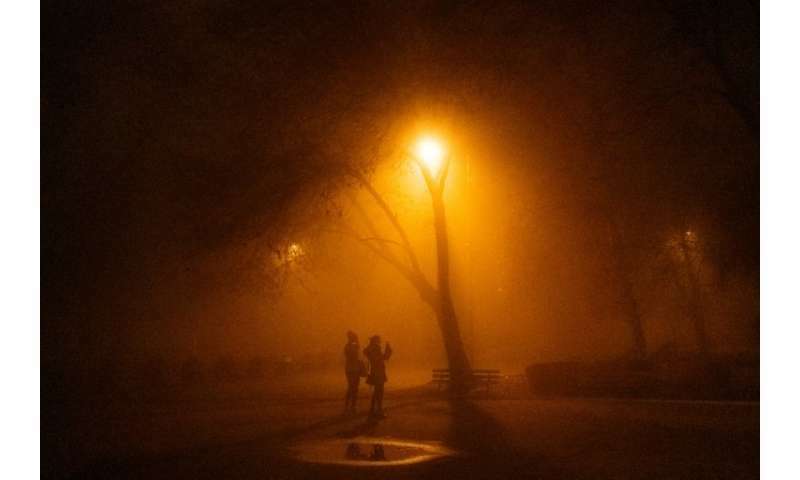 In early December, the air had an average of 320 micrograms per cubic metre of fine particles, with peaks above 400. Anes Podic, who runs as Bosnian environmental organisation Eko-Akcija, blames the government for ignoring the problem. "Someone has judged that the lungs of Sarajevo residents are five times more resistant than those of Paris," she said with sarcasm at a recent press conference, referring to how French authorities set 80 micrograms per cubic metre of fine particles as their alert level. "When the problem appears, as it does every year, authorities ignore it at first, then seem to work on it, and finally, their only measure is to wait for a gust of wind," she added.